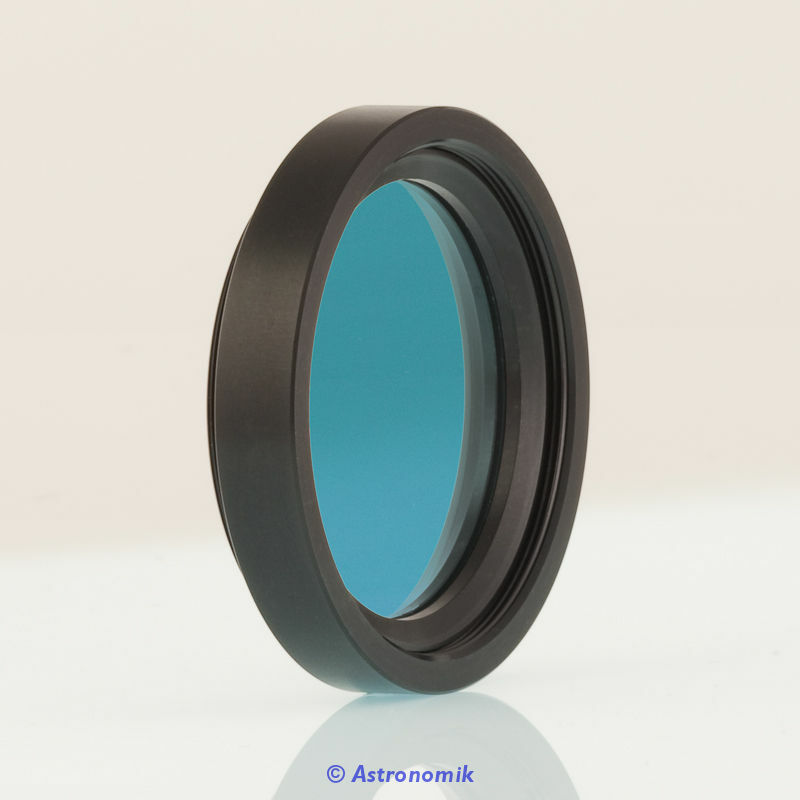 The optimal aperture ratio for the use of the filter is 1:4,5 to 1:6. 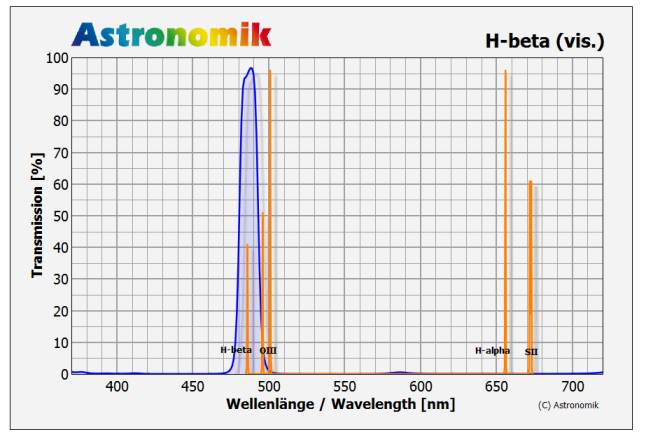 The range of application extends from 1:3.5 to 1:15. 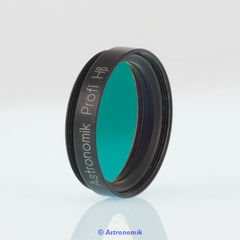 Transmission losses and chromatic distortions, which arise with other filters, are only apparent with the Astronomik filters when extremely fast aperture ratios of 1:3 and higher are used. 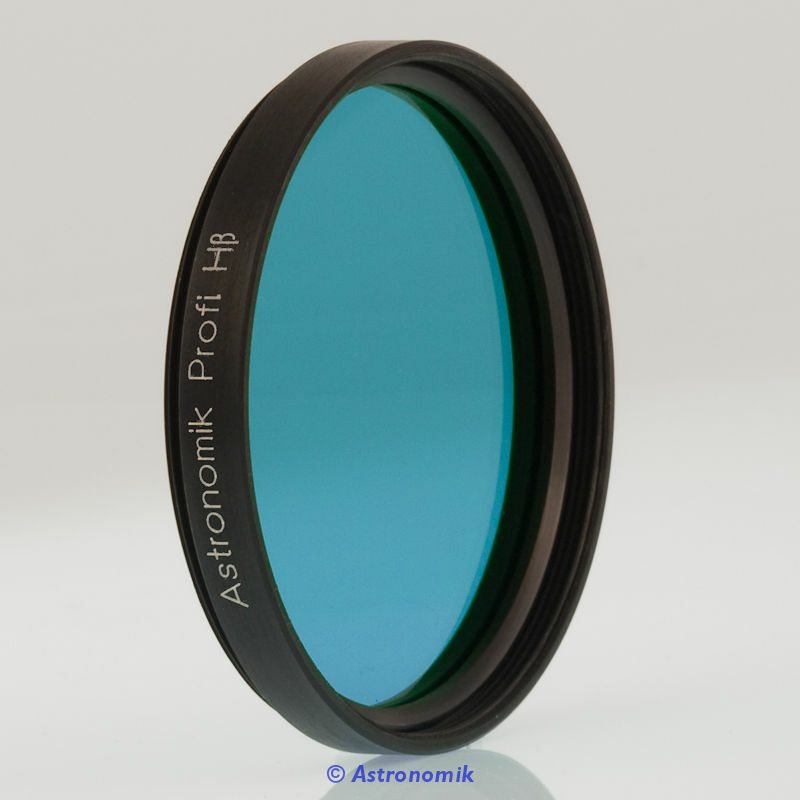 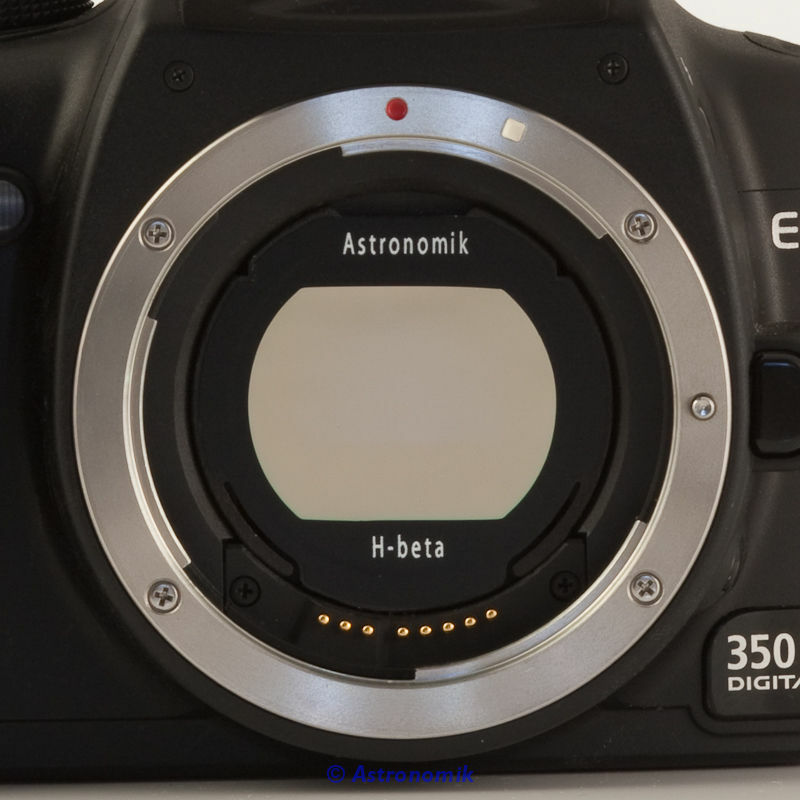 The Astronomik H-beta filter will allow you to view large objects, in the whole field of view of the eyepiece, even when using wide-angle eyepieces - not only in the center of the eyepiece. 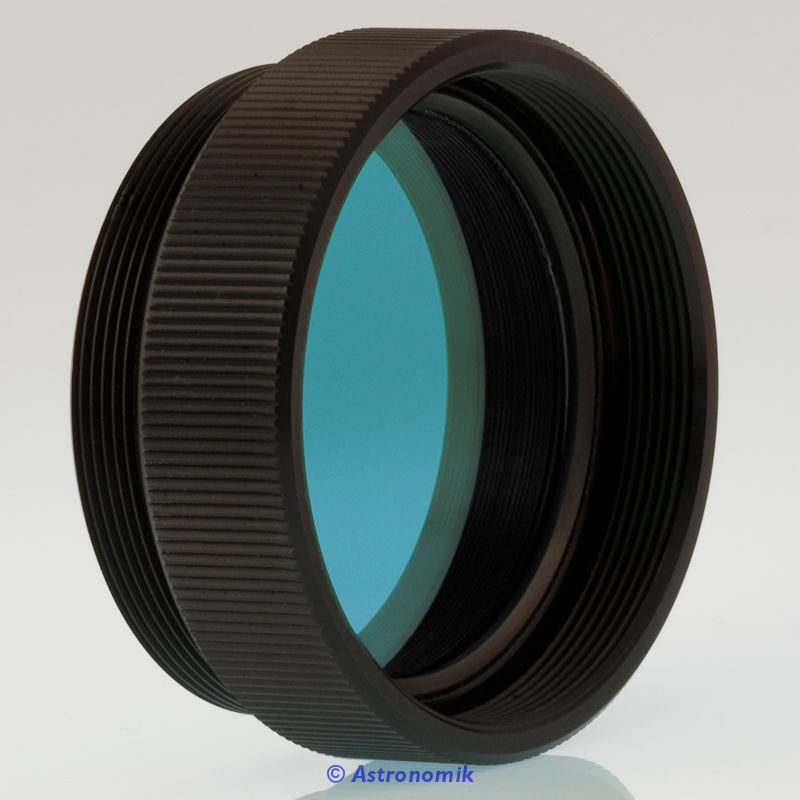 This filter should be used on telescopes with a diameter of 8 " (20cm) or larger. 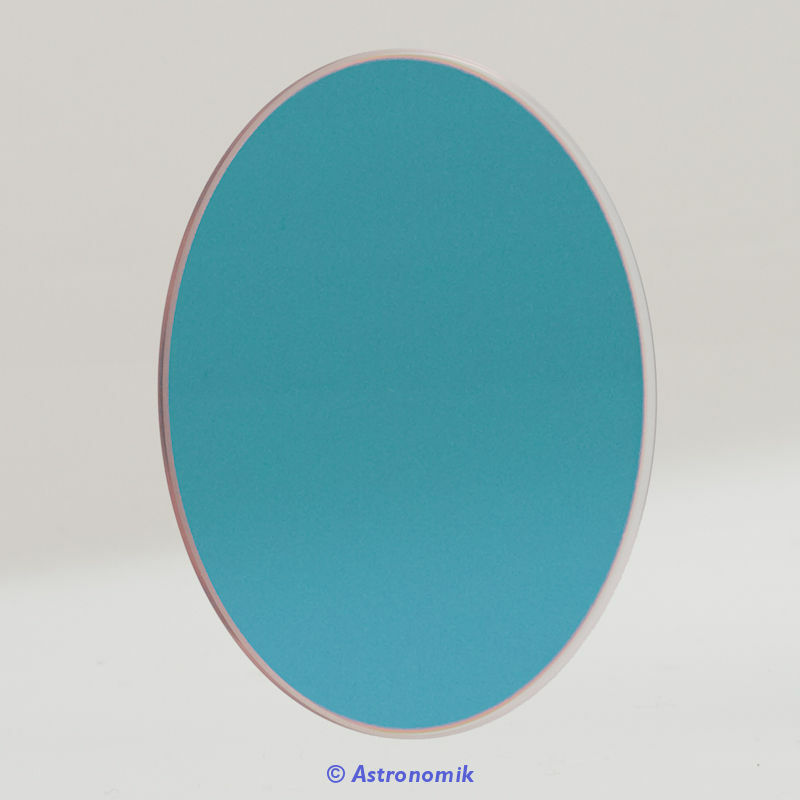 Smaller instruments do not gather enough light for meaningful and satisfying astronomical work. 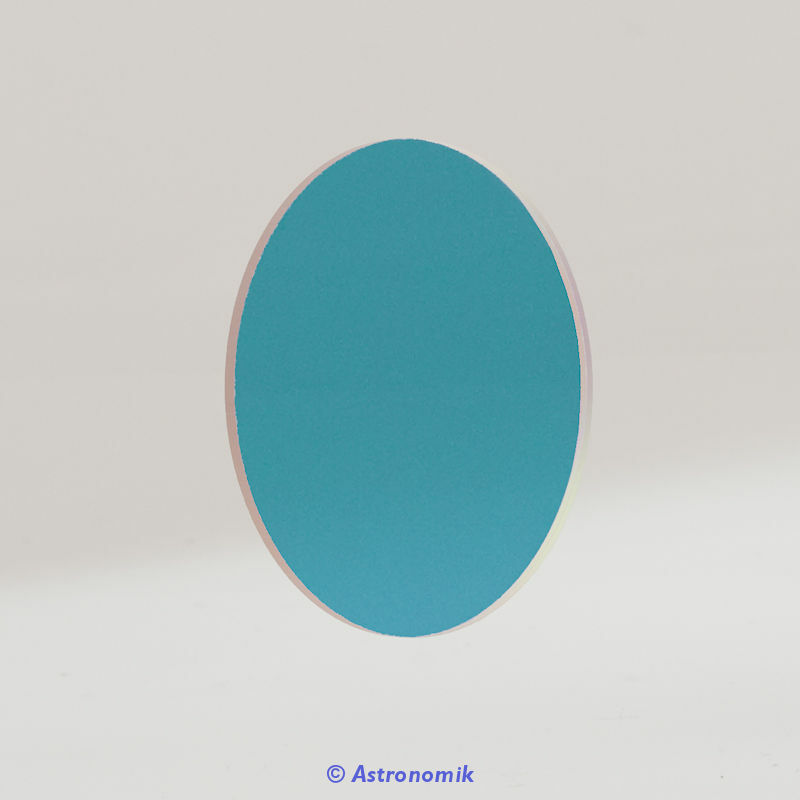 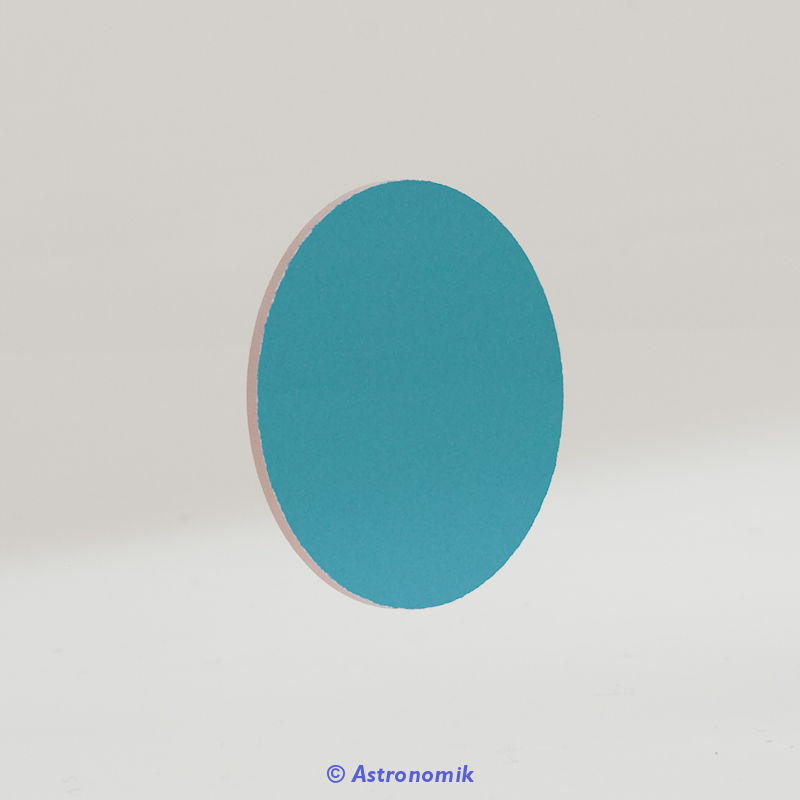 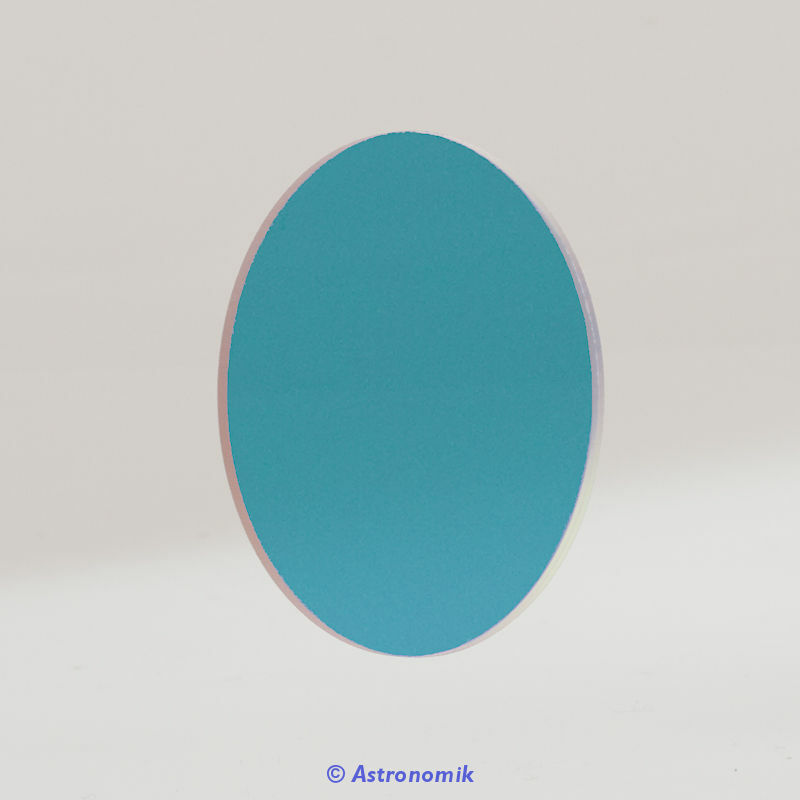 Due to the high optical quality of the Astronomik H-beta filter substrate you will see the same needle-sharp stars as you would from your regular telescope.